It’s almost time for one of our favorite days of the year: Earth Day! Since its inception in 1970, Earth Day has been a way for people to show how much they care about the environment and keeping our earth green! 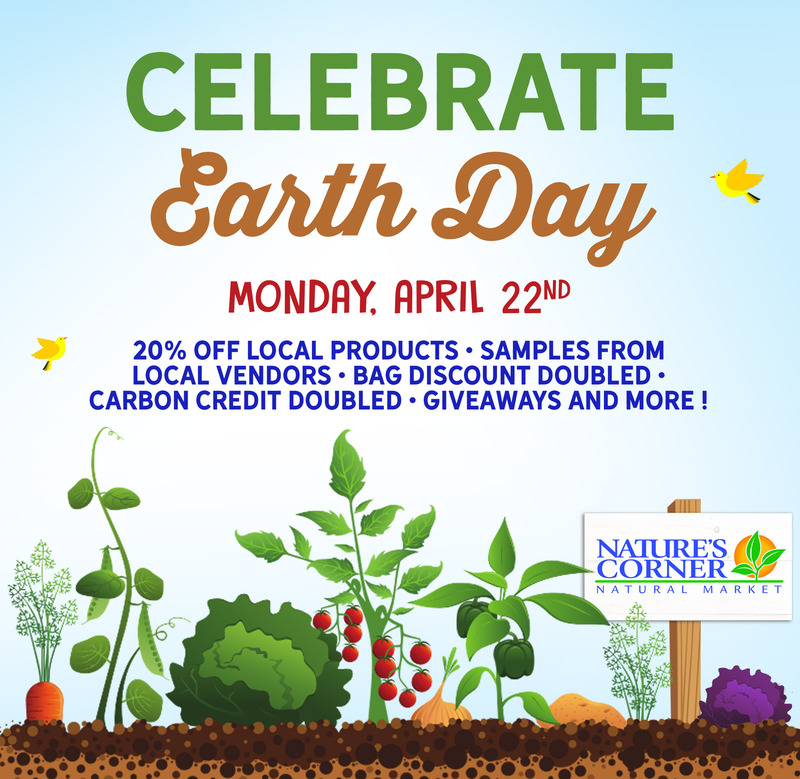 Join us here at Nature’s Corner on Monday, April 22nd for in-store specials and promotions! We’re celebrating with free samples from local vendors, giveaways, special discounts and more. – Our walking/biking/running Carbon credit is jumping up from .50 cents to $1.00 per customer! – Bring your own bag discount doubled! Save .50 cents, per bag, off your order if you bring in your own bags!